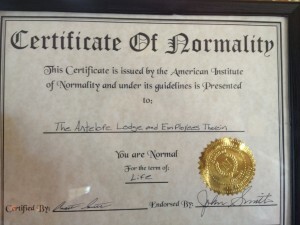 Here is the first certificate of Normality awarded. To the Antelope Lodge and Employees. Get yours today.